For over 20 years, 1st Choice Home Solutions has been providing excellent service to our customers who require a residential contractor in London ON and the surrounding areas. We also offer many other superior-quality exterior home improvement solutions. Your home is our business. Installation of long lasting steel products with a lifetime warranty. New installation and replacement options of custom, casement, single and double hung, awning, and bay and bow windows that are energy efficient and require little maintenance. Vinyl & Aluminum siding installation along with soffit, fascia and Alu-Rex Eavestroughs that feature the T-Rex System and the Gutter Guard System. CertainTeed and GAF certified residential and commercial installation. Installation of entry, patio and garage doors designed to keep your home safe, secure, warm and stylish. Velux offers both Sun Tunnels and Skylights that accommodate any roof configuration and are designed to bring more light into your home. 1st Choice Home Solutions has over 20 years experience in the roofing business, and 1st Choice Home Solutions has been voted the top 3 roofers in London Ontario. 1st Choice Home Solutions is the local Roofing Contractor you need for the job. We have an established track record of providing quality services to the London metropolitan area since 1996. We carry an outstanding line of quality, brand name products that are built to stand the test of time. We offer flexible financing options through Home Trust. We are members of BBB and SAWDAC. We have a wide service area that includes London, Dorchester, Woodstock, St. Thomas, Grand Bend, Tillsonburg and beyond. If you are not satisfied with our work within 30 days of your complete install, we will work together to find a suitable resolution. 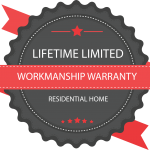 We are able to offer residential lifetime limited workmanship warranty to all homeowners for all services we offer. 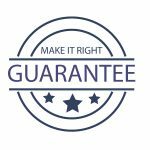 Call The Most Trusted Residential Contractor Today! Don’t put off your home project any longer. Contact 1st Choice today for a free estimate by calling 519-268-6331, or use our convenient online request form. Click Here to Apply with Home Trust.